Intel 8th Generation Gaming Laptops has been slowly getting wheeled out in the market. Intel has started rolling out their 8th gen processors with their latest micro-architecture (Coffee Lake) for notebooks. Gamers are looking forward to it as they promise the best performance in the history of gaming laptops. Here is a quick look at some of the high-performance processors powering the gaming laptops today! While most of the laptops featured on this list come with the i7-8750H hexa-core processors, except for the Acer that is featured down below. The best thing that I like about these laptops is its thin & light constructions as compared to the previous generation gaming laptops which we hated the most. 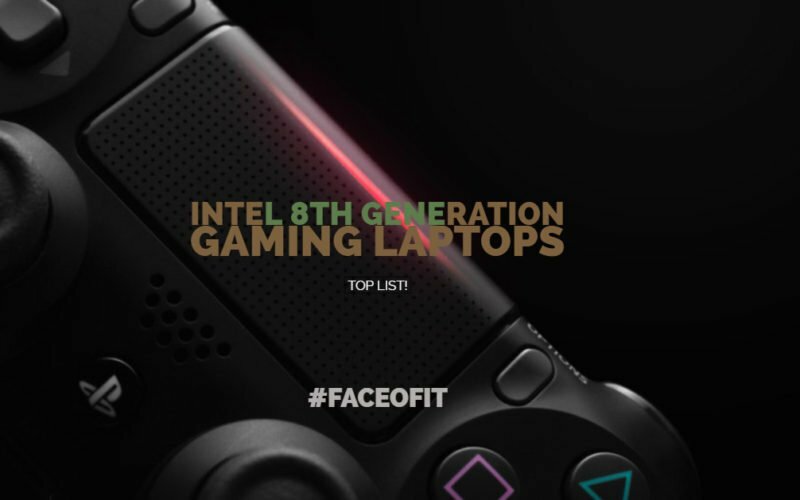 So, without much further delay, let’s list out the Intel 8th Generation Gaming Laptops. That’s it for our list of best Intel 8th Gen Gaming Laptops. We hope it helps you to select the right gaming machine for your budget and expectations. The 8th gen processors have taken the market with a storm, and every other OEMs are releasing new hardware based on the new chipset. We will keep you updated with every detail, so make sure you join the subscription list. For any question or suggestion, feel free to use the comment section below, or contact us directly. Thank You!